Sundays in Bed With…is a meme hosted by Kate of the Midnight Book Girl blog. You must share what book you’re curled up in bed with today (or which book you’d love to spend all day in bed reading if only you had the time)! I had a very laidback weekend and I couldn’t be more thankful. A part of me feels I may have missed a few outside activities but since I got more than enough sleep, I’m willing to let it go. It also gave me time to read whatever I was in the mood for. This morning I started reading Eloisa James’ A KISS AT MIDNIGHT. It’s part of Ms. James’ Happily Ever After series, which is a reimagining of Cinderella. The gloomy weather probably induced me to read a romance book. I like what I read so far. I will try [as usual] to finish them both this coming week. I know I must give time for UNDER THE DOME in between my busy workweek and finally finish EON so I could return it to my bookclub friend Tata on our book session on Saturday. What are you reading this Sunday? I love A Kiss at Midnight, although my most fav in the series is When Beauty Tamed the Beast 🙂 I also hope you’re enjoying Eon, too 🙂 I loved the Eon/Eona duo. Happy reading! I haven’t seen the movie or read the book, but it looks good, but I can see how it would be too violent, but generally I think of books as being less violent because I can’t “see” it. Under the Dome is awesome! 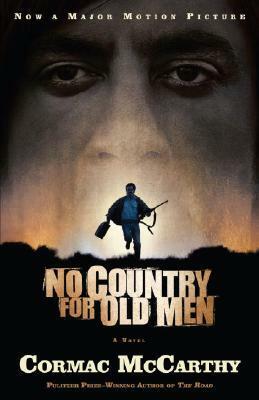 Oooh, I need to read No Country for Old Men! I recently finished a re-read of the audio for Under the Dome. I’m technically reading 5 books atm, and it’s crazy, because it feels like I’m not getting anything finished even though I’m making progress with each of them. 😉 Thanks for participating in Sundays in Bed with…!